So Easy to Make That You’ll Want One for Every Season! 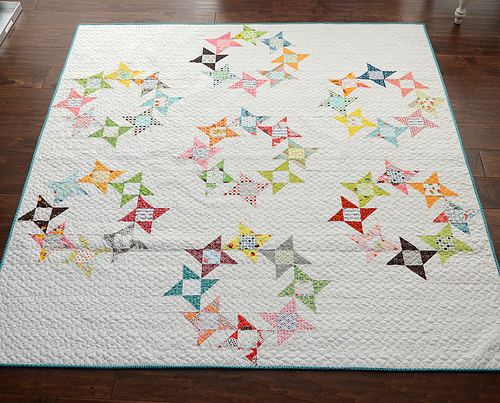 This sweet little quilt is made of Friendship Star blocks cleverly arranged into a wreath. 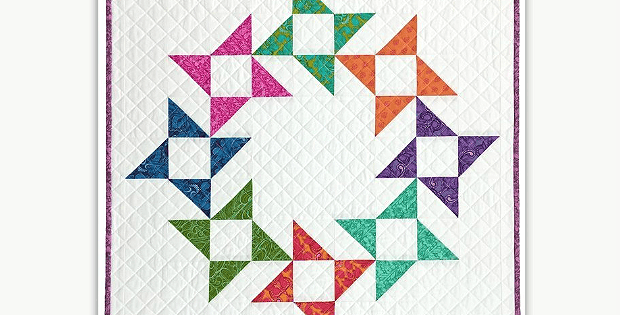 While it looks complex, simple half-square triangles and fabric squares make up the block. Paige Alexander of Quilted Blooms finished off her wreath into a beautiful mini quilt. A lovely variation is to use colored fabric in the star centers instead of white. 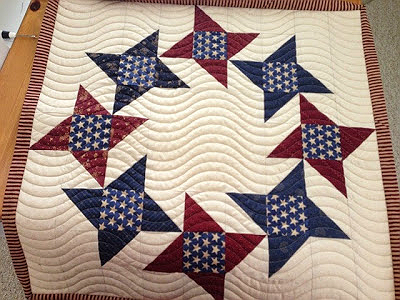 Jean Boyd shares the following example in her article on Quilt Social. This is a great project for using up leftover half-square triangles. You can also choose fabrics to match your decor or for a particular season. This would be lovely made up in Christmas fabrics, for example, or for patriotic holidays. You can also stitch several wreath blocks together into a larger quilt. Here’s an example of one way to set several blocks together, from Camille Roskelley at Simplify (Camille has a pattern available for this, her “Round & Round” quilt). 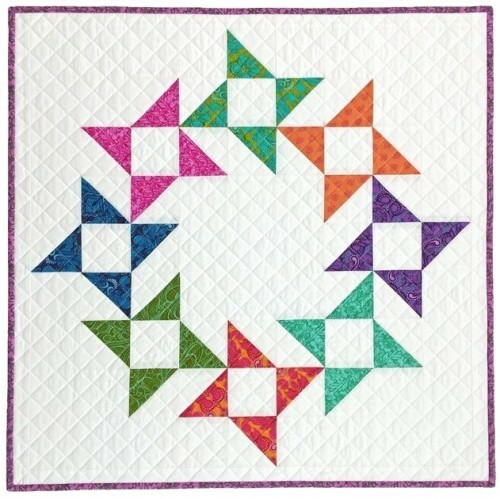 Jean Boyd has provided a tutorial for the wreath block. 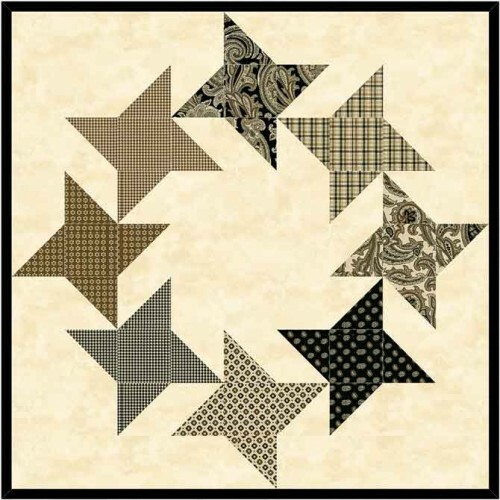 A finished mini quilt from the block is about 22 1/2″ square, perfect for your wall or table. Click here for the free “Friendship Star Wreath Block” tutorial.